I wanted to go to stu-study mathematics. My father disagreed- As a mathematician you never will get a job in Hungary, you must do something more practical. After a lot of discussion, we settled on chemistry. But that was the second question, where? My mother wanted me to stay at home. My father thought I'd better go to a good university abroad. Compromise: I got my final examination done in June 1925. For the fourth semester that started earlier in Hungary than in Germany, I stay in the technical high school in Hungary. Then, by New Year, with the first term over, I go to a good university in Germany. That's what happened and in that period I had one not so little challenge which had a very agreeable and fortunate outcome, that was the competition in physics and mathematics for a prize named after a famous Hungarian physicist by the name of Eötvös. I even want to tell you why he was famous. He looked into Galileo's observation that all objects fall in an entirely similar way. A heavy one no farther than a light one, if you eliminate resistance of air or whatever. This, Galileo observed. This, Eötvös, quite a few years ago, measured with very, very great accuracy and this turned out to be the foundation of Einstein's second great discovery, general relativity, which essentially says: if you put yourself and a falling object in a cage and you fall together, then you don't notice at all that there is gravitation. And that is a way- the way how to approach the rules of gravitation. At any rate, the prize was named after Eötvös, and the mathematics prize was divided by three of us- between three of us. One of them was my good friend, Tisza, about whom I have much more to tell later. The physics prize I won alone. 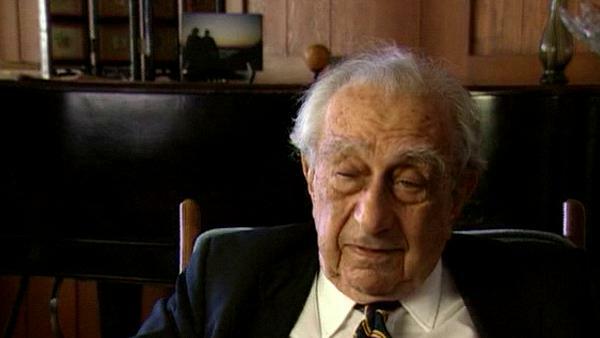 The late Hungarian-American physicist Edward Teller helped to develop the atomic bomb and provided the theoretical framework for the hydrogen bomb. During his long and sometimes controversial career he was a staunch advocate of nuclear power and also of a strong defence policy, calling for the development of advanced thermonuclear weapons. John H. Nuckolls was Director of the Lawrence Livermore National Laboratory from 1988 to 1994. He joined the Laboratory in 1955, 3 years after its establishment, with a masters degree in physics from Columbia. He rose to become the Laboratory's Associate Director for Physics before his appointment as Director in 1988. Nuckolls, a laser fusion and nuclear weapons physicist, helped pioneer the use of computers to understand and simulate physics phenomena at extremes of temperature, density and short time scales. He is internationally recognised for his work in the development and control of nuclear explosions and as a pioneer in the development of laser fusion.